Some of the artists who will be participating in the Kitson Arts Alliance’s 2019 member show “North Branch of Heaven,” including, (from left row 1) Patrick Robinson, Amy Hoi-Ngan Hsiao, Alice Strauss, Betty Bryden, Rip Howard, Terry Proctor, Billy Brandenburg, Jayne Stevens; (row 2) Mathew Howell, Hank Fells, Morgan Marie Scudder, Melissa Jennings, Walter Ball; (row 3) Jack Donnelly, Vanessa Schwarztrauber, Sharon Templin; (row 4) Vince Musto, LaVonne Walter; (row 5) Michelle McKenzie, Linda Cramer, Frank Wengen; (row 6) Fred Strugatz, Gayle Ruckstuhl; (row 7) Debra Osborne and Catrina King gathered recently at the Wyoming County Courthouse. The Kitson Arts Alliance (KAA) proudly announces that it will present its Member Show in 2019, launching on April 8th. This large multi-county exhibition will feature the artwork of more than 50 area artists at five Northeastern Pennsylvania venues in April, May, and June. The participating venues will consist of the Courthouse Art Gallery at the Wyoming County Courthouse in Tunkhannock; the Gallery at the Community Cup Coffee & Tea House in Towanda; the Earnshaw & Sherwood Galleries at the Wyoming County Cultural Center at the Dietrich Theater in Tunkhannock; the Gallery at Tina’s Cafe, Coffee House & Eatery at the Luzerne County Courthouse in Wilkes-Barre; and the Kitson Gallery at Pen Corners in Tunkhannock. Altogether, the Member Show will feature a wide variety of oil paintings, acrylics, pastels, watercolors, mixed media, sculpture, photography, and more. Among the area KAA member artists whose artwork will be featured at one or more of the venues are: W.D. Ball; Billy Brandenburg; Betty Bryden; Mark Chuck; Linda Cramer; Sarrah Dibble-Camburn; Charlotte Dickinson; Jack Donnelly; Rita Eddy; Hank Fells; Erika Gibson-Bertram; Richard Griffith; Lewallace P. Howard III; Mathew Howell; Amy Hoi- Ngan Hsiao; Ben Jackson; Melissa Jennings; Brian Keeler; Catrina King; Joe Kluck; Cheryl Korb; Chris Lathrop; D. Lee; Dr. Sonji Lee; Earl Lehman; Jim Lennox; Elyse Mattocks; Michelle McKenzie; Vince Musto; Sue Palackas; Ed Parkinson; Terry Proctor; Michael Reznick; Christopher Ries; Amanda Robinson; Patrick Robinson; Kittie Roemer; Gayle Ruckstuhl; Vanessa Schwarztrauber; Morgan Marie Scudder; Jayne Stevens; Alice Strauss; Fred Strugatz; Sharon Templin; Michelle Thomas; LaVonne Walter; Joe Welden; Charles Welles; and Frank Wengen. At all venues except the Dietrich, the exhibition will remain in place until June 28th. The Dietrich exhibits will be up until May 25th. Mark your calendar! 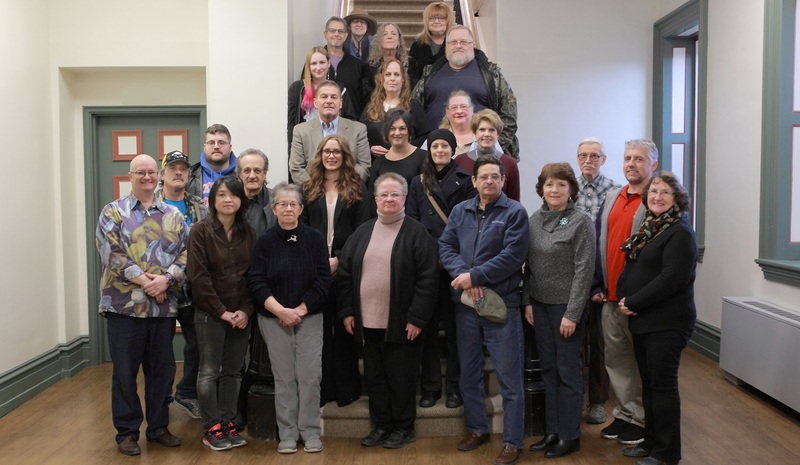 A “Meet the Artists” reception will take place at the Dietrich Theater, 60 East Tioga Street in Tunkhannock, from 2 to 4 pm on Sunday, April 7th.